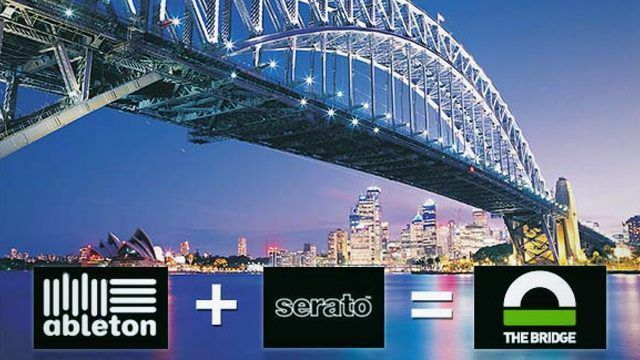 The Bridge is the result of a partnership between Ableton and Serato to create a way of interfacing their Live and Scratch Live products. The concept has been out for around six months, but it’s fair to say the concept has not yet really set the world on fire. A lot of resistance is based around the notion that maybe you CAN connect Ableton Live and Serato Scratch Live, but why should you? Well, as much as fervent defenders of their favourite software will assert that what they use is the perfect solution, some software is just more suited to certain tasks than others. Scratch Live is one of the best Digital Vinyl Systems on the market, whilst Live is ideally suited to live production and on the fly remixing. Is pairing the two a marriage made in heaven? The Bridge comprises two functions, Mixtape and Ableton Transport Control. Let’s have a look at what they both offer. Mixtape records each of your decks (Scratch Live decks only – your actual vinyl/CD inputs on the input through channels aren’t recorded) and the SP-6 sampler into separate tracks of an Ableton Live file. Using an SL1 or SL3 (or the new SL4), that’s all that happens – not particularly inspiring. 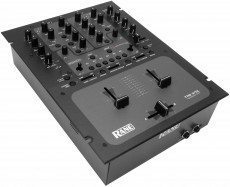 However when using a TTM57 or Sixty Eight mixer the MIDI capability of the mixers is utilised. Fader and EQ movement is recorded in automation lanes, so that when the Live file plays back, your performance is replicated perfectly (perfectly except for Scratch Live effects NOT being recorded). This affords you a number of opportunities, from offering something of a hybrid middle ground for DJs who find all their enthusiasm comes from being behind the decks, but want to be able to clean up their mix with Live standard precision, to those who want to think of the live mix as step one in a much bigger, effects, loops, and instrument encompassing mixtape. It’s not really the ability to fix a mix that’s the most interesting part of Mixtape; although a mistaken fader click or forgotten EQ reset can be easily corrected, it almost seems like an arbitrary distinction between ‘keeping it real’ and just doing it all perfectly in Live in the first place. What I found the most interesting was the capability to actually change the sound of a track, even though it’s being cut up, scratched and mixed, in isolation. That classic Motown that sounded great when you were high on your mixing endorphins, but from the tranquility of the sofa sounds a little flat in comparison to what it’s top and tailing with, can be beefed up without messing with any other aspect of the mix – to me that’s the best part of the ability to ‘cheat history’, so to speak. You can’t load a Live set into a deck when you’re recording the set with Mixtape and have it paste on the actual Live set into the new recording – it simply comes out as audio. It’s a shame, because the idea of incrementally adding to a mixtape by loading a half finished Mixtape into a deck and then carrying on was one that really appealed to me – and cutting and pasting tracks, automation and all, between Live sets isn’t really possible. Some way to resume a Mixtape recording would be fantastic, because as it stands once that record button’s unpressed, that’s the end of your mixtape. Broadly speaking there are two reasons to use the Ableton Transport Control: Playing songs you have created in Live and retaining the capability to remix them on the fly, and utilising it as a sound bed and synth panel on steroids. For the former, load an .als file into a Scratch Live deck and you’re away – cues, loops and effects are all at your disposal on top of full control of your instruments and effects in Live. Because Live is synced to the platter, speeding it up and slowing it down will affect Live’s playback; changes in speed will result in the same sound you would expect from a record, in that a faster deck will raise pitch and vice versa (you can see this at the beginning of the video). 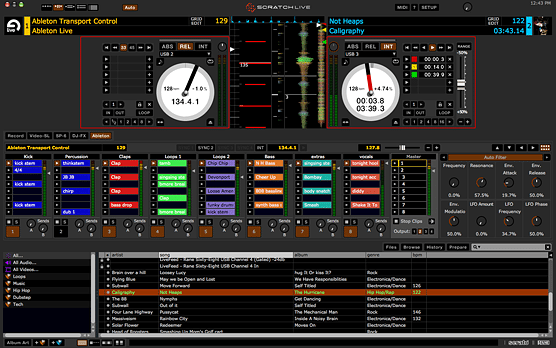 Scratch Live isn’t playing an audio stream from Live though, it is actually controlling it – moving the platter in reverse will rewind Live’s transport, which stops playback as opposed to audibly rewinding the track. This means that scratching is out of the window, and also that any effects that rely on Live being in a play state, such as Stutter Edit, will stop playing. For the latter, where having an entire deck dedicated to effects and keyboards isn’t feasible, you can sync ATC to one of your decks (around 5.56 in the video). This method is perfect for loops and drops, albeit with the caveat that it is tied to the crossfader channel that the Scratch Live deck it’s twinned with is. Users of an SL3 box can avoid this by simply utilising their third deck, and of course Sixty Eight users have four channels at their disposal. A big benefit to the integration that The Bridge offers is the unified user interface. Loading a Live set into Scratch Live allows you to open a customised copy of Live’s session view (take a look at around the three minute mark in the video) and device controls below the deck view. This view syncs with what’s actually happening in Live, so using a controller such as an APC40, Launchpad, or other controller with control surface support for Live should work just as well in the Scratch Live view. 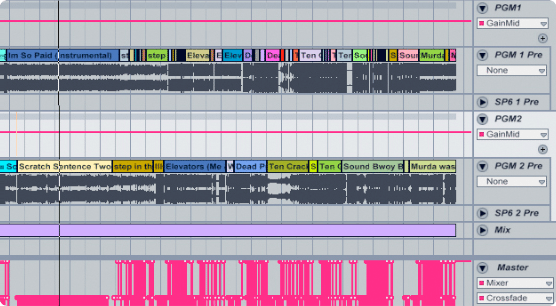 Beat grids have quietly made their way into Scratch Live, and this facilitates mixing tracks in with Live. Traditional waveform displays don’t show in Scratch Live for an Ableton Transport Control deck, but its beat markers do; because ATC syncs to the BPM of a Scratch Live track, the success of quantising and so on relies on the accuracy of your Scratch Live track beat grids. First things first: with a box style Rane hardware, The Bridge is effectively half as useful (assuming each of its capabilities is worth the same) as it is with one of its mixers, as Mixtape is a little pointless without recording fader and EQ movements. The entire slant of The Bridge is getting Live to fit around Scratch Live. I think two of the pipe dreams that some people will have, and have had broken, are the ability to use Live sets as though they were audio in Scratch Live, scratching and all, and using Scratch Live’s capabilities in Live to scratch and cut up clips. What The Bridge does is provide an elegant solution for running two pieces of software that have totally different strengths in tandem, and whilst the sum of the whole is greater than its parts it doesn’t come up with much genuinely new material, just an easy way to mix the two components. If you already own both Scratch Live and Ableton Live then you’re presumably au fait with each piece of kit’s strengths – The Bridge is just waiting for you to have a poke around and see whether it opens doors for you. You can stop reading now, go check it out! If you’re an Ableton Live user looking to integrate your performances into a DJ set, The Bridge is the most elegant way to do it; being able to play a Live set as if it were a record, albeit one that can only play forwards, makes mixing between Live and Scratch Live more straight forward than any other production software / DVS pairing. 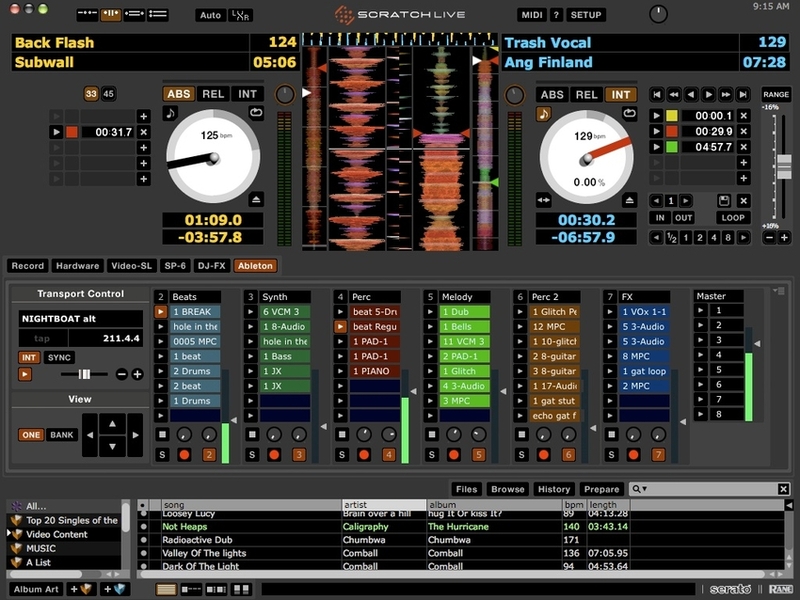 It’s entirely possible to run both Live and another piece of DJ software at the same time, perhaps even using MIDI to sync the two, but the single screen, cue and loop ready ease of The Bridge blows everything else away when it comes to integration; The Bridge could be the deciding factor for a Live user not sure whether to add Scratch Live or Traktor to their set. If you’re a Scratch Live user just clamouring for some more advanced options, such as bolstering the SP-6 sampler with something with real grunt, then The Bridge is definitely going to do that. That said, at €349 for Live its value is very subjective. 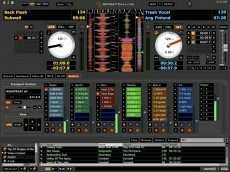 It might even be worth looking at Traktor Pro 2 to see whether a crossgrade to its loop decks and advanced effects float your boat. However, Live is the kind of software that can really inspire you to dabble in a little bit more of the possibilities that it opens up, and the 30 day free trial is the ideal way to see whether there’s anything extra to take your fancy in it and mitigate some of its cost – be it production, live instrumentation, or making edits of tracks to use in your sets. The reason The Bridge hasn’t really set the world on fire is because it’s not really revolutionary, but it definitely offers the best way available to syncronise a DVS and a live focused sequencer (Live is really in a league of its own when it comes to feature set, but nevertheless). Give it a go, and see what you think. It could be exactly what you’ve been looking for.